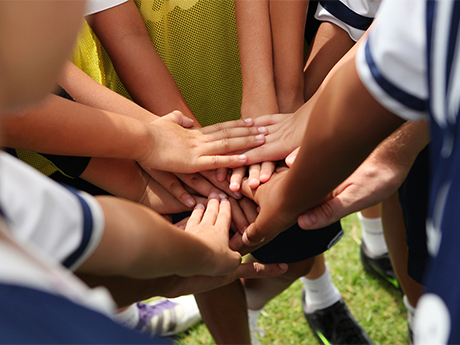 Team-building activities are fun, constructive ways to help members of youth sports teams get to know each other, build trust and learn to work together. It's important to take some time out from practice to give your team an opportunity to bond and have some fun. Here are 16 ideas to get you started. Who doesn't love ice cream? A team trip to a local ice cream parlor is a classic crowd-pleasing activity. Or, you could save some money and boost the creativity factor by hosting a make-your-own sundae party. 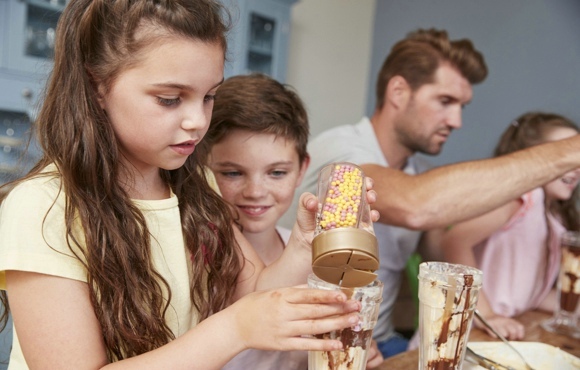 Stock up on several flavors of ice cream, chocolate and other sauces, sprinkles and any additional toppings the kids might enjoy. Then, invite them to customize and compare their sweet creations. The players won't even realize this is a team-building activity--they'll just love hanging out and having some fun while enjoying a special treat. 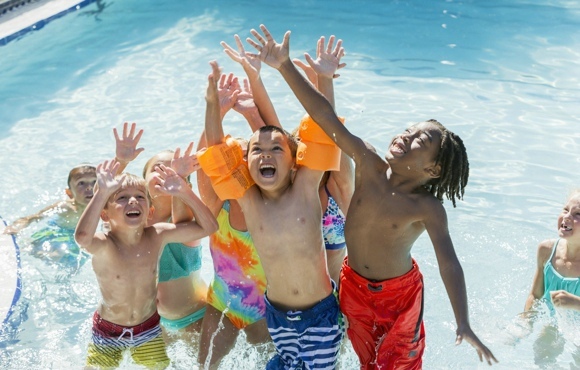 Take the team and a few parent volunteers to a local pool or beach. Break the kids into teams and have a sand castle-building contest, water volleyball game or simply bring a Frisbee along as a fun way to work on catching and throwing technique and hand-eye coordination. A Slip 'N Slide is also a fun option for working on baseball slides, too. The Human Knot doesn't require any special materials, and it challenges kids to work together and communicate. 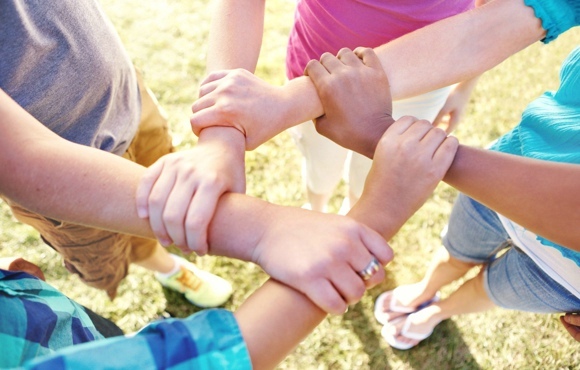 Begin by having the team stand in a circle, with everyone joining hands with someone else. Players should join hands with someone positioned across the circle–not the person standing next to them–and each person must hold hands with two different people. Then, without letting go of anyone's hand, everyone must work together to untangle the knot. This is a fun game for kids that promotes listening, following instructions and teamwork. First, ask the kids to form a circle. 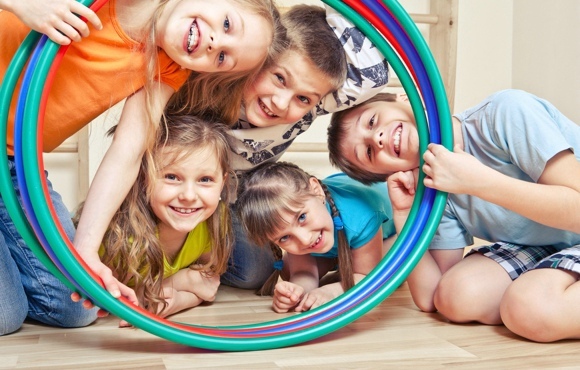 Next, place a Hula Hoop over one kid's arm, and instruct everyone to join hands. Without letting go of anyone's hand, the team must find a way to move the Hula Hoop all the way around the circle. When it comes to relays, you can turn just about anything into a race. 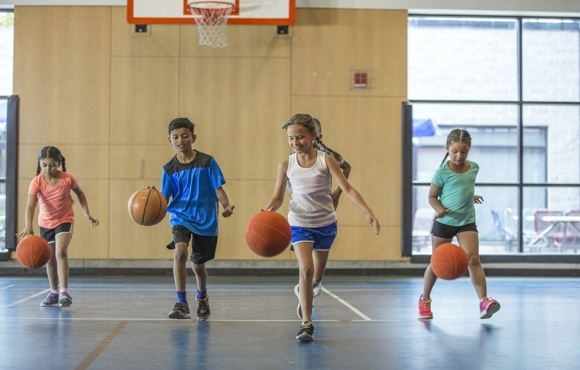 Want your basketball team to practice dribbling? Have the players form a line. The first player must dribble to a designated spot and then back to the line, and then pass the ball off to the next player. The kids continue dribbling down and back until everyone has had a turn, and the team that finishes first is the winner. Substitute a baseball to develop coordination, or have players cradle a football to work on protecting the ball. The wheelbarrow race is a classic relay race that requires teamwork. It can be challenging, but it's also a lot of fun. First, mark a starting and finish line and divide players up in pairs. Have each pair line up at the starting line. One person will place their hands on the ground, while their partner holds their feet. The pairs must walk this way to the finish line, with one player using their hands to walk, and the other walking behind him and holding his feet. The first team to cross the finish line is the winner. 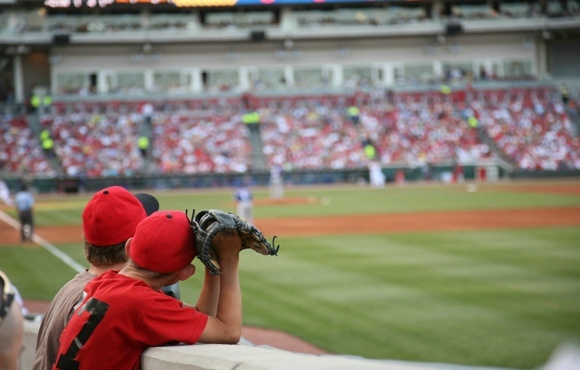 Taking the team on an outing to the ballpark or stadium is both fun and educational. For example, take your Little League team to see a local high school, college or Major League baseball game. High school and college football or basketball games are also great options. This gives kids an opportunity to see how their sport is played at a higher level--and cheer on a local team, to boot. 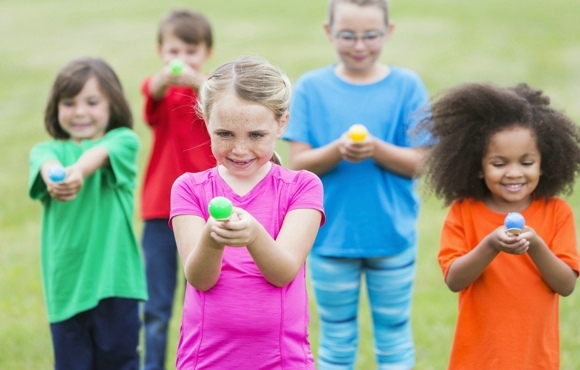 This game is a fun and messy way to work on coordination, communication and trust. Invite the team and their parents to a local park (or a sunny back yard) and bring food, refreshments, blankets and lawn chairs. Play any of the games here, or play a "getting-to-know-you" game. For example, pair kids up and have them interview each other as if they are reporters. Once they've learned a few things, challenge them to introduce their partner to the rest of the group. This works well for parents, too! Looking to build teamwork and make a difference in the community? Gather the team and host a volunteer day. 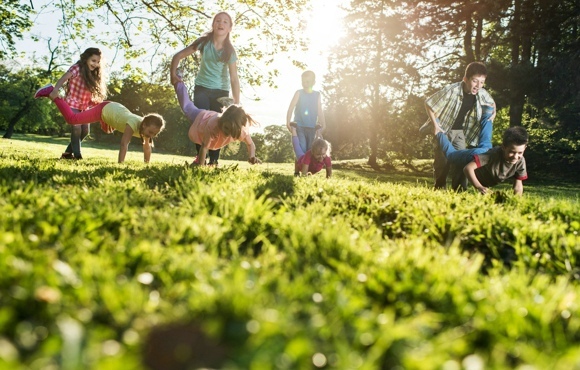 Whether you choose to clean up a local park, serve a meal at a shelter or read stories at the library, volunteering as a group inspires cooperation among kids and builds strong bonds between neighbors. 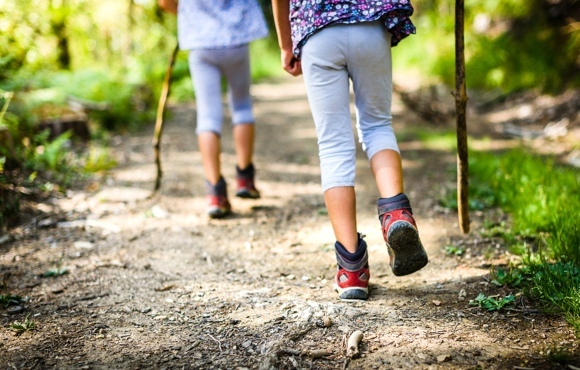 When the weather is nice and tree-lined trails beckon, a team nature hike is just the ticket. 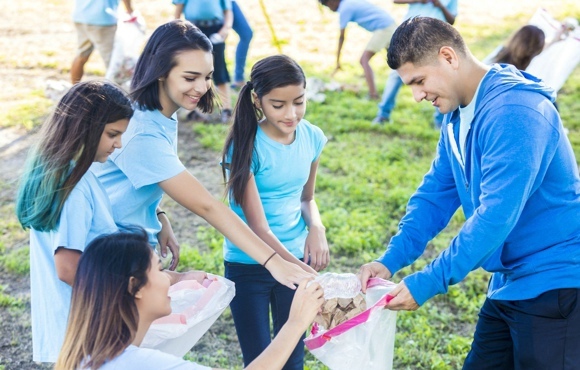 From mapping a route to packing the necessary snacks to taking turns as the leader, this activity offers multiple opportunities to hone organizational, planning and teamwork skills. As always, remember to keep safety in mind when exploring the outdoors. Teamwork is never quite so fun as when you're planning a party. 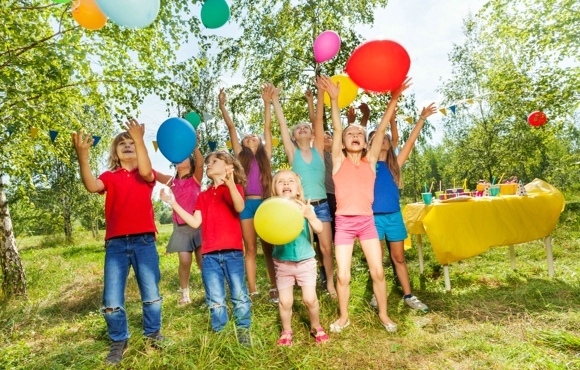 Youth sports teammates will have a blast–and work together in new ways–as they plan a special Appreciation Party for their coach. Small groups can tackle decorations, refreshments and music, then put the plan into practice as a team. The most important question of all: Is it a "surprise" party? If so, everyone must remember to keep the secret! Rained out? Snowed in? Host a craft-ernoon gathering to inspire creativity while building teamwork. One great option is making spirit signs for the team's next game, or let kids get crafty by painting hats or tees with team colors. 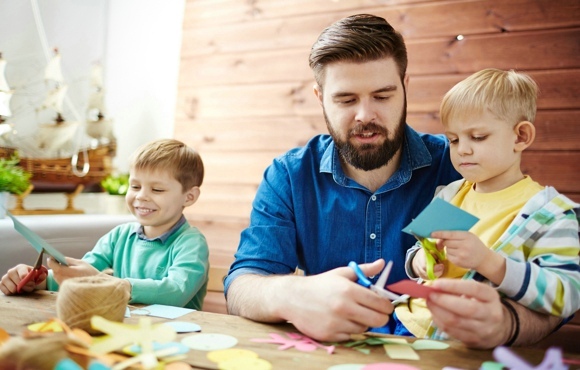 Additional ideas include making season-closing gifts for the coach or Mother's Day or Father's Day gifts for parents. There's no need to stray far from home to enjoy an exciting adventure. Why not host a team sleepover with a "backyard campout" theme? 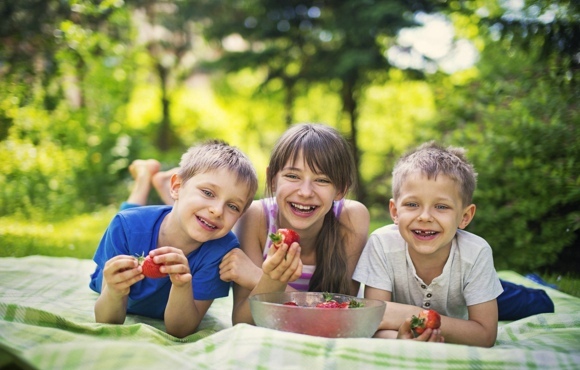 In the weeks leading up to the campout, kids can tackle the tasks of planning a dinner menu and snacks, as well as campsite activities. Hint: S'mores are a must, as are storytelling and sing-alongs! 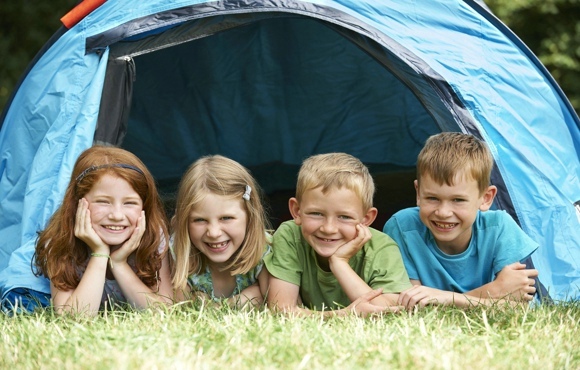 Then, when the big day arrives, encourage the team to work together to set up tents and picnic tables before kicking off their close-to-home campout. 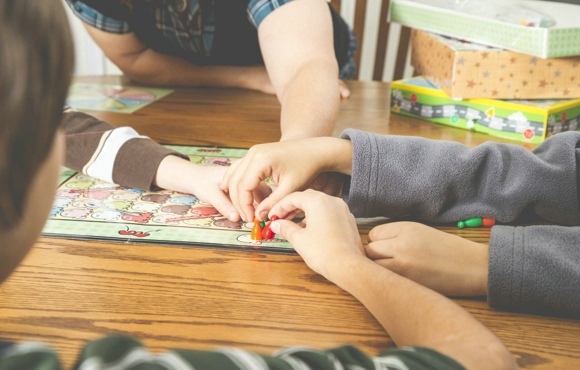 Board games like LIFE and Monopoly, as well as interactive games like Twister and Jenga and even good old fashioned card games can help kids brush up on a variety of skills. Plus, they're just plain fun! Host a team game night with several "game stations" set up throughout the house, offering a variety of games for various numbers of players. The team might even invite another team from their league to join the fun–and, of course, don't forget the snacks. Collaborative storytelling is a wonderful team-building activity, and it's always good for a laugh, too. Start by having team members draw numbers to set the story-telling order. 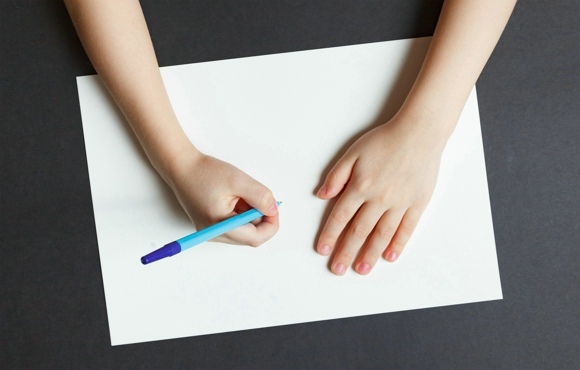 Next, on a white board, chalk board or large notepad, ask the first player to write the first sentence of a story about the team. Then, invite the second player to add the second sentence, and so on down the line. Make sure everyone knows that silly, goofy and outrageous plot twists are encouraged!